Which honey is the best? Free of environmental pollutants organic honey is a healthier version of the honey found in your supermarket. That’s because the flowers that the bees get the nectar from has not been sprayed with pesticides or other chemicals. 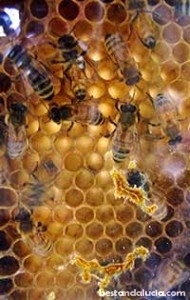 Organic beekeepers make sure that the hives are located in wild areas. Taken straight from the honey barrels, raw honey, on the other hand, can be easily identified by its texture. This unprocessed honey is almost solid at room temperature. Unlike most honey products available in many commercial stores, raw honey is much more beneficial for your health. It has anti-viral, anti-fungal and anti-bacterial properties. It also stabilizes blood pressure, blood sugar, prevents cancer and heart disease as well as increases your immunity. 1) Honey from Rancho Cortesano near Jerez de la Frontera – it is our number one choice for the best quality organic and raw honey available in Andalucia. Located on the outskirts of a small village Cuartillos, only 10 km east of the centre of Jerez centre, Rancho Cortesano has become a real kingdom of top quality organic Andalusian honey. 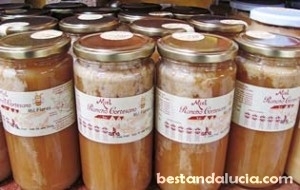 Their store offers a wide range of honey products at very competitive prices. Orange blossom honey, Thousand Flowers Eco honey, Royal jelly honey, Bee polen, Honey with nuts, various sweets and natural cosmetics based on honey are just some of the many healthy products available in the store. Rancho Cortesano boasts beautiful Honey museum which you can access for free. The customers can also take advantage of a great restaurant and various kids activities available there. Visit their site here. 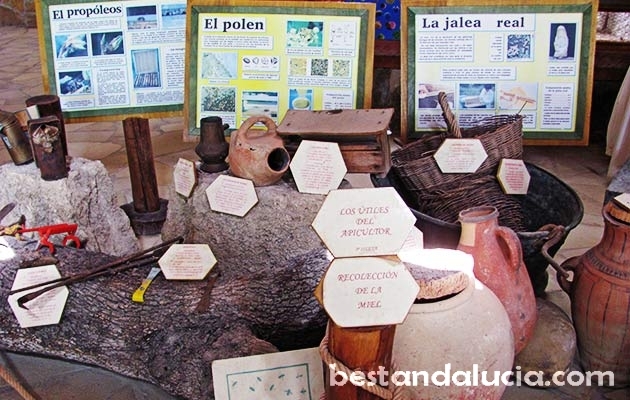 2) Honey Museum and Honey Store in Colmenar, north of Malaga, is another great place where you can buy top quality honey and learn some interesting facts about honey and bees. Museo de la Miel is located in a small remote mountain village of Colmenar, 15 kms north of Malaga. You can find the place in the very city centre, just opposite Oficina de Correos. 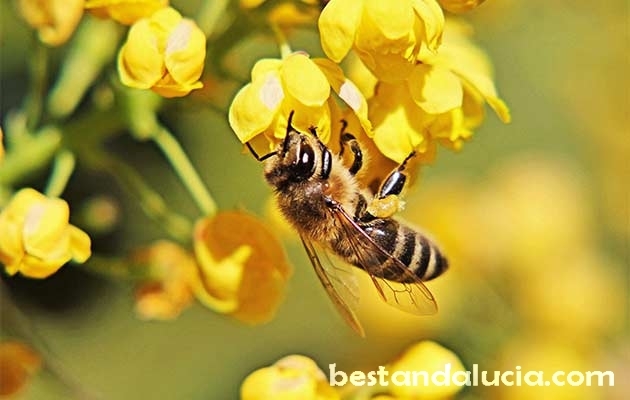 For centuries, Colmenar has been well known in Andalucía for beekeeping. In 2010, the village opened a museum which boasts some absolutely great displays and exhibits. The museum and the store are opened from Monday till Friday from 10:00 till 14:00 in the morning, and from 15:00 till 18:00 in the afternoons. It’s closed on weekends. The entrance fee is only 2€ per person. 3) Puremiel in Prado del Rey east of Cadiz. Top quality organic and raw honey products such Arbutus Honey of The Natural Park Los Alcornocales, Oax trees honey, Lavender honey, Forest honey with mountain flavour or honey with almonds. There is much more in their store. Visit their website here. 4) Miel Fuente del Sol, based in Alhaurín el Grande near Málaga, offers a fantastic range of good quality organic honey products including: Miel Thousand Flowers, Miel Romero, Miel Azahar, Miel Eucalyptus, Miel Thyme, Miel Forest, Royal jelly, Pollen, Wax. You can access their page here. 5) Tierra Verde is a company producing organic food in Andalucia. They cooperate with small local farmers in Andalucia who farm organically. In their wide offer that includes organic goat’s cheese or organic olive oil, you can also find great quality Organic Holm Oak honey or Organic Honey with Walnuts or Almonds. Tierra Verde is based in the UK, but you can order their products online. Visit their site here. 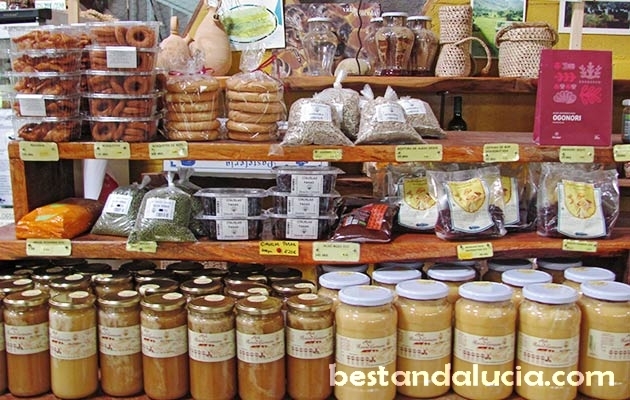 6) Good quality organic honey can be found in many health shops in Andalusian cities including Malaga, Cordoba, Granada, Seville, Huelva or Cadiz. 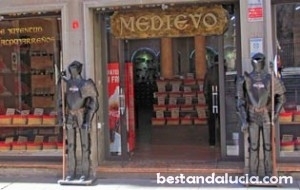 For example, Medievo Granada in Granada, located just opposite the Cathedral in Granada, is a great spot where you can buy top quality health products including many variations of organic honey. You can also order their products online.